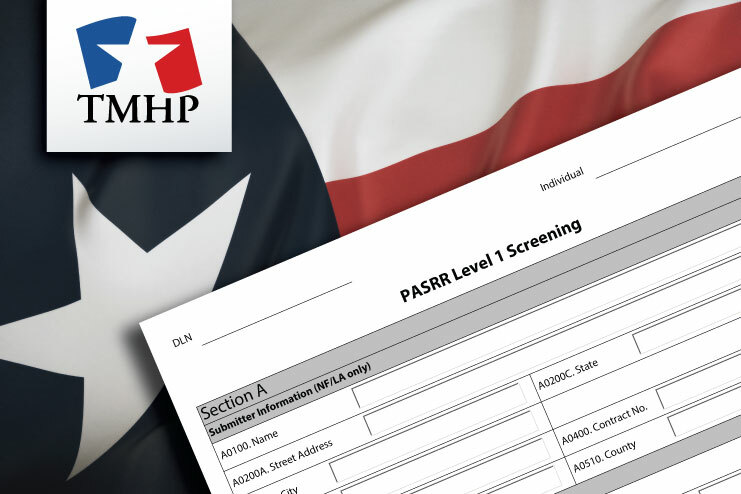 TMHP has announced that beginning Feb. 28, 2014, they will automatically generate new Preadmission Screening and Resident Review (PASRR) PL1 Screening Forms for any Medicaid residents in your facility who have an active MDS 3.0 assessment but no corresponding PL1 Screening Form. At SimpleLTC, we’re pleased to note that the majority of PL1s created in Texas are coming from SimpleLTC customers. Keep up the good work… the new PASRR process has been demanding but working together we can meet the challenge! Local Authorities (LAs) will automatically be notified that they need to complete PASRR Evaluations (PEs) for each converted PL1 where the individual is determined to be PASRR-positive. Once the PE is completed, nursing staff need to follow normal process for certifying the PL1 within SimpleCFS. What will happen in SimpleCFS? Your PASRR tab under the SimpleCFS Current Form Activity view will list the new PL1s with a Date of Assessment of Feb. 28, 2014. They will include a TMHP system-generated note in the History that states, “The PASRR Level 1 Screening Form has been created from an MDS Assessment (or PASARR Screening) on file that has the following DLN: XXXXXXXXXXX mm/dd/yyyy h:mm:ss.” Just like a normal PL1, once the LA has complete the PE, you’ll be able to certify the PL1 and admit the resident. Will this create duplicate PL1s? No. Individuals in this group were not included in previous groups for which TMHP auto-generated PL1s. So no duplicate PL1s will be created. More info about PASRR in Texas is available in the SimpleLTC PASRR Resource Center and you can always contact SimpleLTC customer support with any questions about SimpleCFS. You can also contact TMHP at 800.626.4117 (option 1) for info about claim submissions, PL1 and PE submission error messages or status questions.